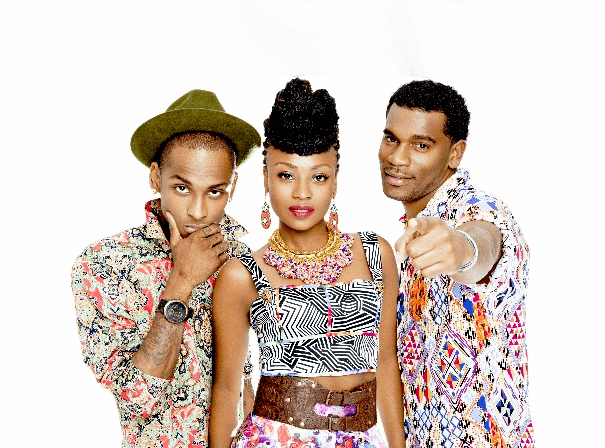 Chocquibtown are the Latin Grammy-winning hip-hop act behind Sin Miedo, El Mismo, Oro, Somos Pacifico and Eso Es Lo Que Hay: five globally successful studio albums that have defined the sound of Colombian hip-hop. Their pioneering sound fuses the grit of U.S. rap music with Afro-Caribbean rhythms, taking inspiration and influence from salsa, reggaeton, and Latin jazz. Drawing comparisons to the eclectic sounds of The Black Eyed Peas, Chocquibtown explore Afro-Latino identity through socially conscious rap music that transcends both genres and borders. Their debut album, Somos Pacifico, was self-released in 2006, and swiftly followed by a record deal with Nacional Records. Oro, their second studio album, broke through to an international audience, prompting invites to SXSW, Glastonbury and Roskilde, while picking up a Latin Grammy for the politically-charged single ‘De Donde Vengo Yo’. The record also earned a Grammy nomination for Best Latin Album, confirming Chocquibtown’s status as a crossover success. After signing with Sony Music Colombia, Chocquibtown released Eso Es Lo Que Hay, embarking on a worldwide tour in support of their third release. This was followed by 2015’s El Mismo, featuring their most successful single yet: Cuando Te Veo. Reaching No 13 on the Billboard Chart, the reggae-tinged single scored almost 45 million views on YouTube, stoking anticipation for their next release, 2018’s Sin Miedo. Their fifth studio album introduced them to a global audience, featuring radio-ready collaborations with Nicky Jam and Wisin.